One of the reasons I love our Kind Karma and BRANDED Collective jewelry is that they are a minimalistic style. These beautiful pieces are great on their own and can be layered to create a modern look too. Investing in quality pieces that can be used many times is key in ethical fashion, so that's why I chose to carry these two brands because of their high quality and ability to match so many other accessories & clothes. In this look I started with Kind Karma's Gold Coin Choker. I love the practicality of this necklace. 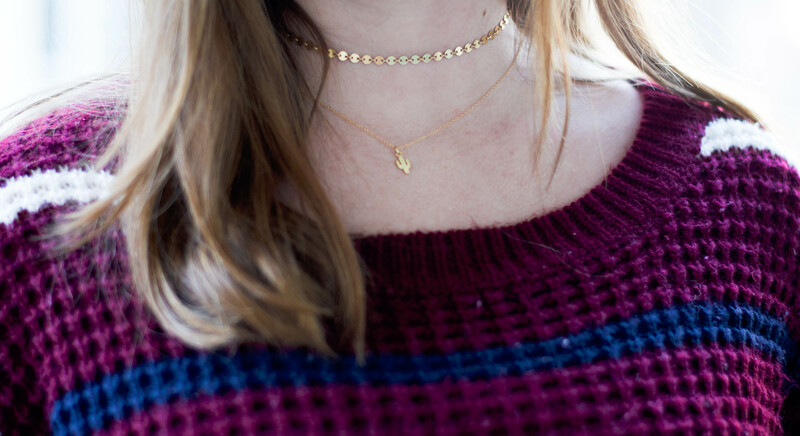 It compliments just about any other gold necklace really well! Then I added the Rose Quartz Teardrop Gemstone Necklace. This added a touch of rosey pink to accessorize and match the top I was wearing. In this second look I wanted to spruce up my secondhand sweater and add a bit of fun, quirkiness to the look. I chose to get out my Gold Cactus Necklace from Kind Karma and pair it again with the Gold Coin Choker for a more in depth look. Not pictured, but fabulous for layering are the BRANDED Collective cuff bracelets. 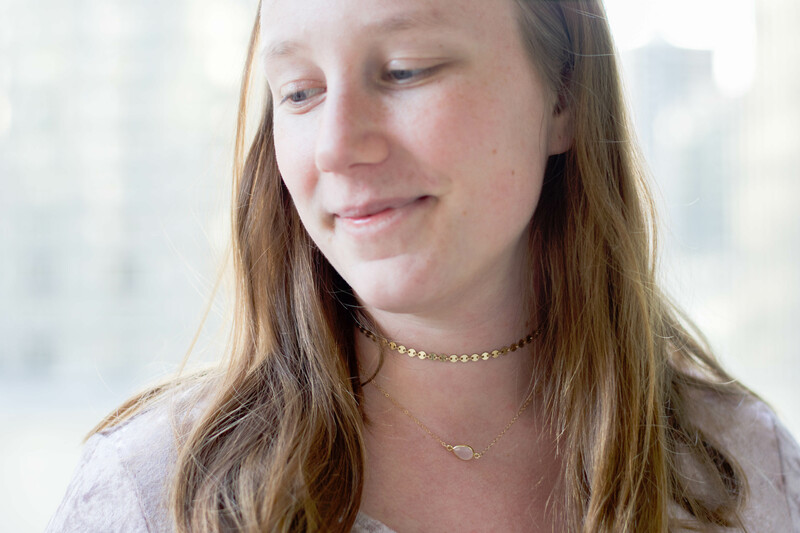 Made with aluminum, brass, or copper these beauties are the perfect accessories for complimenting necklaces or layering on your arm with other bracelets.